Justin Kozisek, a staffer for the Star Wars Action News podcast, bought a $6.94 Rey toy at Walmart and posted a photo of it to Facebook, and he and his SWAN colleagues were surprised to get a DMCA notice from Disney/Lucasfilm claiming that they had infringed copyright by posting a photo of their toy. 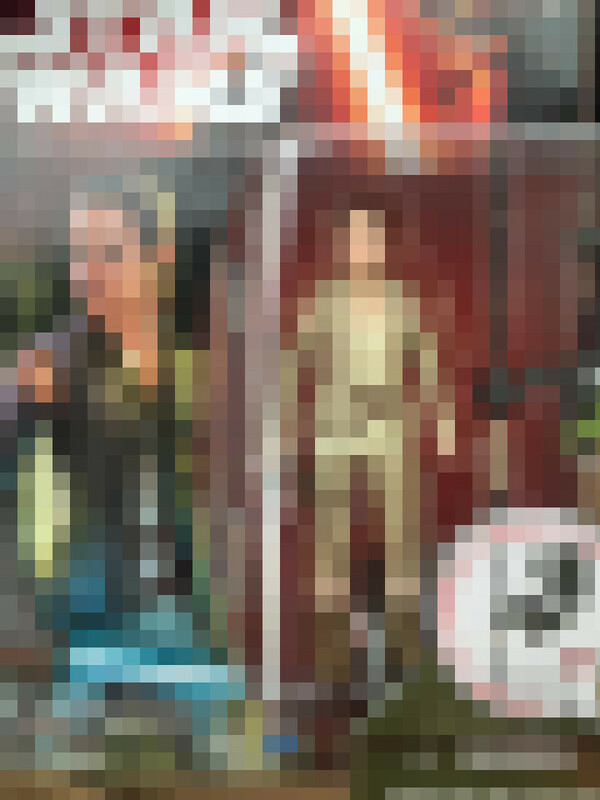 The toy had apparently been offered for sale ahead of the release date, and the packaging includes elements that some may consider to be a spoiler. Disney sent takedowns to Facebook for SWAN's photo, as well as all the individuals who reposted it. When SWAN's proprietor Marjorie Carvalho sent Disney a polite letter disputing the claim, she received a notice from Facebook stating that "The Walt Disney Company has retracted their intellectual property report." However, Disney sent a new, identical complaint to Facebook later the same day, triggering Facebook's repeat-offender copyright punishment system, resulting in Kozisek's Facebook account being suspended for three days. Lucasfilm was legendarily tolerant of fan activity prior to the Disney acquisition; Disney itself has a reputation for heavy-handed enforcement. Since the acquisition, fans and academics have been waiting to see whether Lucas's congenial relationship with its fans would persist. This kind of incoherent, bullying activity is not a good sign. Disney owes Kozisek, SWAN, and the fans it targeted an apology. What's more, since the Universal v Lenz decision, companies that abuse the DMCA process run the risk of having to pay their victims' legal fees if they are successfully sued. If SWAN wanted to, they could cost Disney a lot of money at this point. Facebook, too, should be ashamed of itself, for not ignoring Disney's complaint, which is so invalid on its face. Disney and Lucasfilm own the copyright to Star Wars action figures, and the companies may own rights to some photos taken of those figures. But a photo on a fan blog of a legally purchased product has an extremely strong claim to being “fair use,” according to EFF attorney Mitch Stolz. So what’s going on here? One possibility is that at least someone at Disney was open-minded about Carvalho’s thoughtful response, but the organization has a software-enabled copyright enforcement regime in place that they simply can’t stop. For fans dealing with images the company doesn’t like, the rule seems to be guilty until proven innocent. Lucasfilm didn't respond to requests for comment yesterday. We've reached out to Disney and will update the story with any response we get.